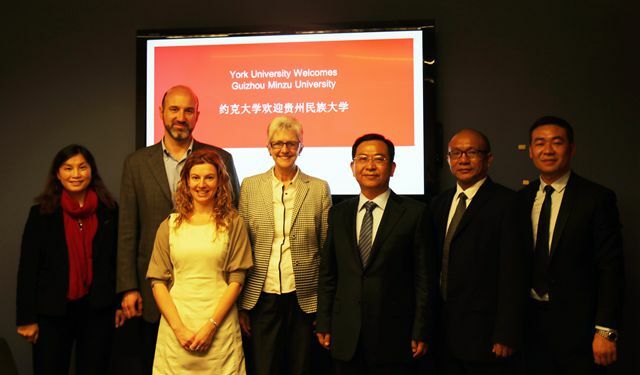 In the morning on October 21, Guizhou Minzu University and York University had held a conversazione on academic exchange and cooperation. 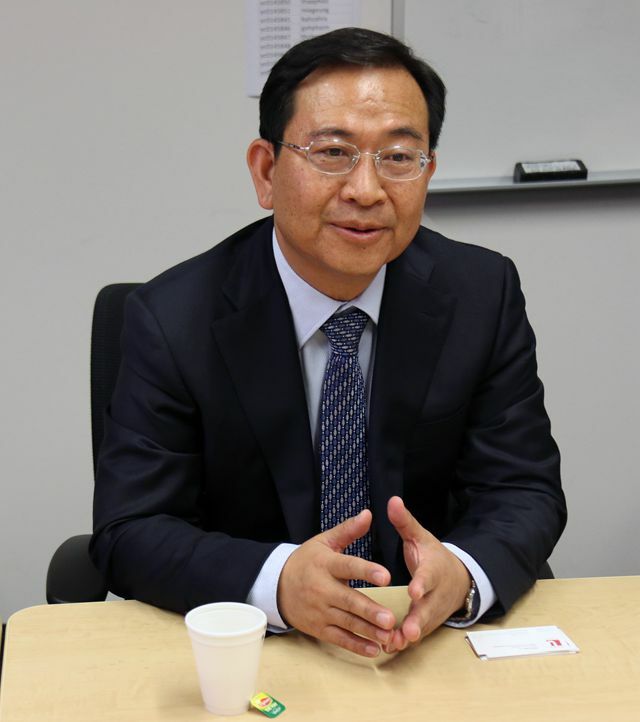 President Zhang Xueli (Guizhou Minzu University) and vice-president Alice Pitt ( York University) had attended the conversazione and made short addresses. The conversazione was hosted by professor Elena Caprioni, the director of Asian Business & Management Program in York University. 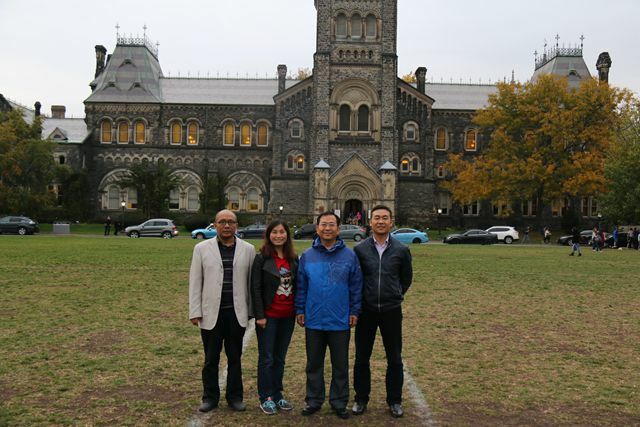 Besides, professor Zengli, the head of the International Office in Guizhou Minzu University; party secretary Li Xiangxing from the School of Ethnology and Sociology in Guizhou Minzu University; vice-director Xia Dawen from the President Office in Guizhou Minzu University and professor Philip F. Kelly, the director of Asia Research Center in York University had also participated in the meeting. During the meeting, president Zhang had mentioned that, Guizhou Minzu University has paid great attention to international exchange and cooperation. The university has set friendly relations with universities or colleges in Austrialia, U.S., Canada, Britain, New Zealand, the Philippines, and Malaysia. President Zhang also hoped : based on friendship, equality and trust, the cooperation between the two universities could be supposed to take place in academic exchange, student exchange, scientific research and teaching, which could help the two universites build a mutual beneficial relations.